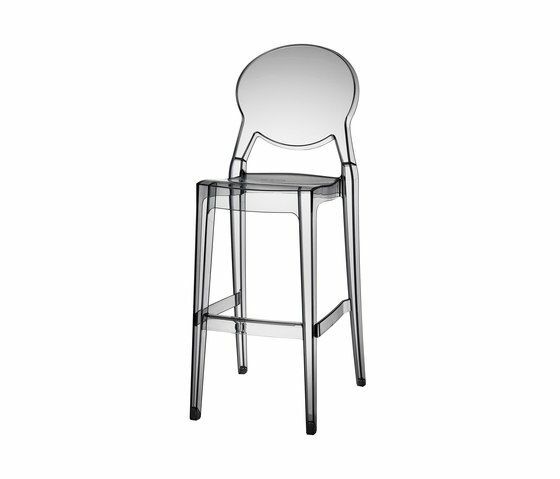 Perfectly stackable, Igloo stool combines its Louis XVI back with the practical and light polycarbonate structure. It can be used indoors and outdoors. Dimensions: W47 D54 Hs74 H116 cm. Available in glossy white, glossy black, transparent and translucent smoked grey.